It's called "FIFO" or "DIDO" work — and it can mess up your life even while providing a livelihood. But a new guidebook devised in the North aims to help workers avoid the pitfalls. FIFO refers to "fly-in/fly-out" rotational shift work, while DIDO refers to "drive-in/drive-out" — in other words, the sort of work arrangements typical at remote mining sites in the North. "There's very similar issues that come up wherever you are across the globe, when it comes to rotational shift work," said Susanna Gartler, an Austrian PhD student who co-authored "The Mobile Workers Guide." "Two weeks on, two weeks off, or three weeks on, one week off, or whatever your shift roster is — the issues are very similar." 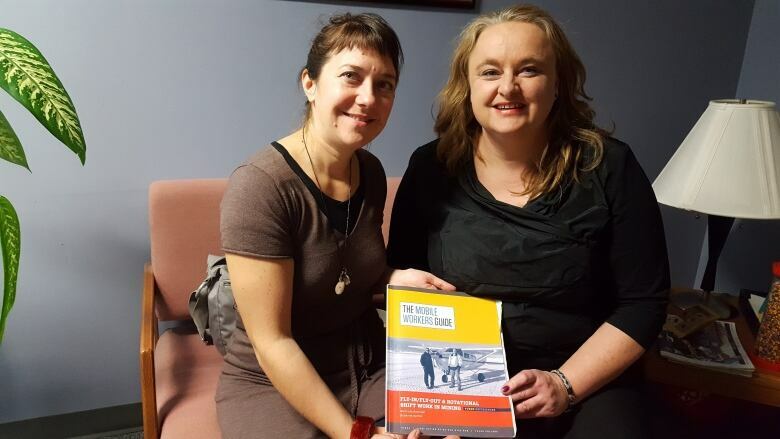 Gartler and co-author Gertude Saxinger — also from the University of Vienna — wrote the guide with the help and support of the Yukon's Na-Cho Nyäk Dun First Nation. 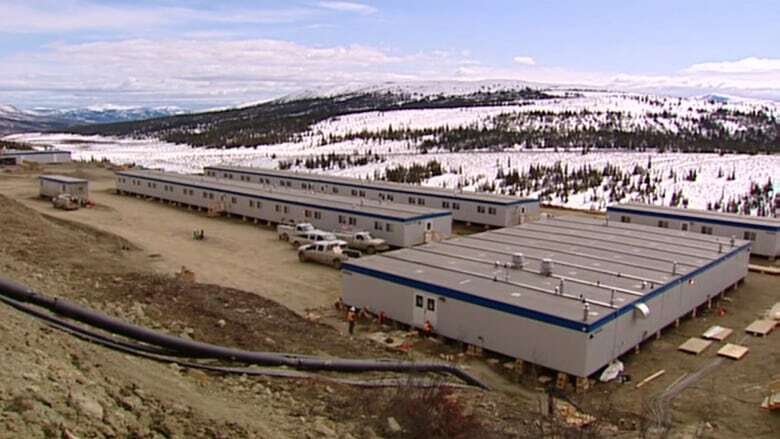 Many First Nation members have worked at remote mining and exploration camps in the region, and even more will, as new mines open — such as Victoria Gold's Eagle Gold project near Mayo. The two researchers travelled to communities across Yukon, gathering stories and perspectives from people who work or have worked at remote camps. Saxinger has also studied fly-in/fly-out work in Siberia. The guide is largely intended for young workers who may be new to rotational shifts, said Saxinger. "They should know what comes up, and think about it," she said. "The older you get, the more experienced you get — you have figured things out." The biggest issue for most workers, Saxinger says, is family life. "You have to discuss with your family, also with your kids — how shall we reorganize our family life? "Be ready not to get involved in the micro-business at home. That's so important — not to fuss over the phone," Saxinger said. Gartler agrees, and says it's especially important for workers away at a job site to focus on work, not home. "If you get too involved, then you might be thinking about stuff that might be going on at home while you are at work, and that can be dangerous — because mine sites are dangerous places." The guide includes testimonials from workers, and their partners, who have learned the lessons first-hand. "If you are having a lot of drama back home, your camp life is going to be really miserable. Trust me," a worker named Brady is quoted saying. "If your home is stable it is much easier and safer." "If you trust each other, then mining is good for families. If you have a toxic relationship, then good luck," says another quote from a worker named Jeremy. The guide also looks beyond family life, though, and touches on other stresses and challenges workers can face — loneliness, substance abuse, and managing money. 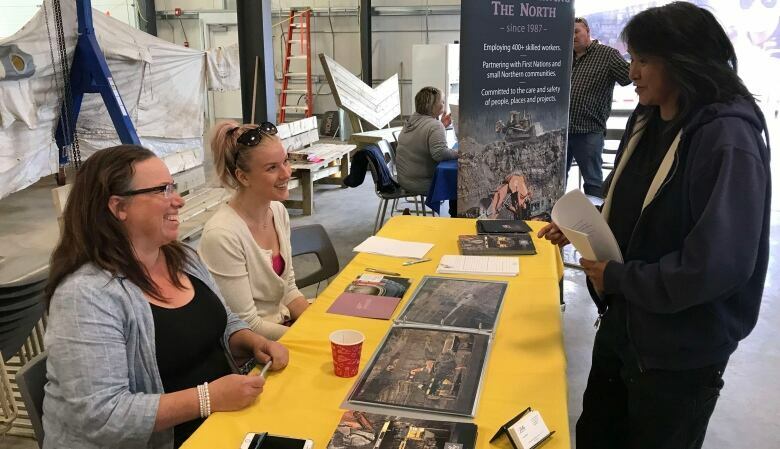 "Probably everyone has heard about mine workers who blew up all their money, which is kind of sad because they work hard, they earn their money, and then sometimes it is all gone, and they're left with nothing," Gartler said. There's also day-to-day camp life to get used to — everybody working, eating and sleeping in a sort of "enclosed" environment. Being social can help stave loneliness, but Saxinger says workers also have to learn to "not be bored by yourself." "You also have to have a good balance ... how much you get involved in other people's business, or be by yourself," said Saxinger. 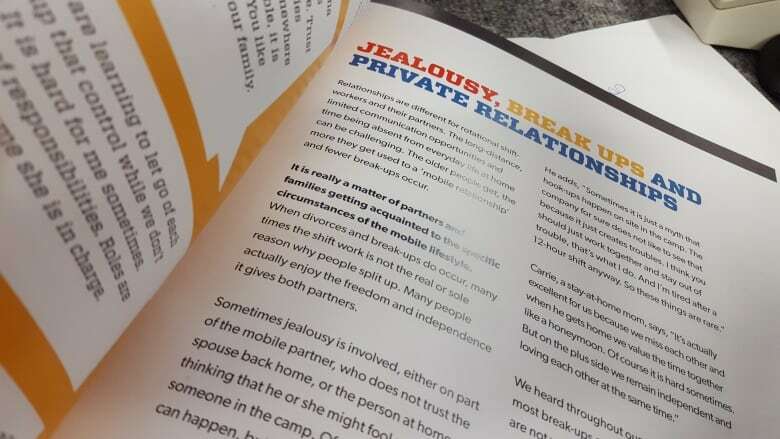 The guide also makes clear that camp life can be particularly challenging for women, who are typically in the minority. Discrimination and sexual harassment can make for a toxic environment. "I had a few incidences of sexual harassment myself, but I tend to be outspoken and not very shy. So I dealt with them pretty well. I told those people straight to their face that their behaviour is not appropriate and if I wanted to I could get them kicked out of here," says a quote from a worker named Veronica. The guide advises that there are laws and company rules to protect women from harassment and discrimination on the job, and victims should never be afraid to speak up. The guide is not meant to discourage people from rotational shift work, though. Many testimonials describe how rewarding it can be, if you have the right approach and perspective. Saxinger also notes that many Indigenous workers like rotational shift work because it allows them to maintain some aspects of a traditional lifestyle, even while pursuing wages. Being off for weeks at a time makes it easier to go out on the land, she said. Saxinger and Gartler are now in the middle of a "presentation tour" in Yukon, visiting communities to talk about the guide and hand out copies. They'll visit Watson Lake on Monday, Ross River on Tuesday, and Carmacks on Wednesday. Copies of the guide are available online, or from the Yukon Chamber of Mines.